Discussion in 'Dealers & Group Buys' started by zimbloth, Sep 14, 2018. Ibanez Prestige RGDR7UCS Exclusive Limited Run 7-String in "Desert Yellow Flat". Special features include: Mahogany body, Stainless Steel frets, Ebony fingerboard, Bare Knuckle pickups, Reverse Headstock, Tight-End R bridge, Gotoh Locking tuners, and a never before done Satin Desert Yellow finish. Perhaps the best sounding Ibanez 7-string ever IMO was the DCM100, which was a mahogany body RGD with reverse headstock. It had a deep, menacing tone with amazing resonance and tightness. I wanted to capture that mojo, and improve upon it further with the addition of an Ebony fingerboard, Stainless Steel frets, and Bare Knuckle pickups to make the ideal sleek 7-string shred machine. I believe this RGDR7UCS will accomplish just that! I am delighted to bring you this, our 6th Axe Palace exclusive Ibanez limited run model, the RGDR7UCS. Only 12 of these are being produced for us and we are taking pre-orders now. Delivery is expected by Winter 2019. Our previous sold-out Ibanez Prestige limited runs turned out wonderfully and were beloved by our customers. I have no doubt these will be no different. All our Ibanez guitars come with a FREE professional "Deluxe" setup tailored to your individual tuning and string gauge preferences from our technician. The deluxe setup includes: action, intonation, trem angle, truss rod adjustment, smoothing out fret-edges (if needed), addressing any nut or bridge shim issues if needed, polishing the frets if needed, as well as fingerboard conditioning. In other words -- the works. Of course, for those of you who want an untouched, new-in-box guitar, we can accomodate you too. Our deluxe setup is completely optional, but absolutely free and highly recommended. We also offer optional pickup selections and other special requests. Give us a call at 508-921-9973 or contact us through the website for any questions. - You may notice this page shows this item as being "in stock", this is not the case. As mentioned above these guitars are not going to be ready until early 2019. It has to be classified this way in order for our pre-order system to work properly, sorry for any confusion. - No, this guitar is not free. You must select either a Deposit or Pre-Order option from the drop down menu. - If you want alternative pickups, we can accomodate you. Email sales@axepalace.com or call 508-921-9973 to discuss options. 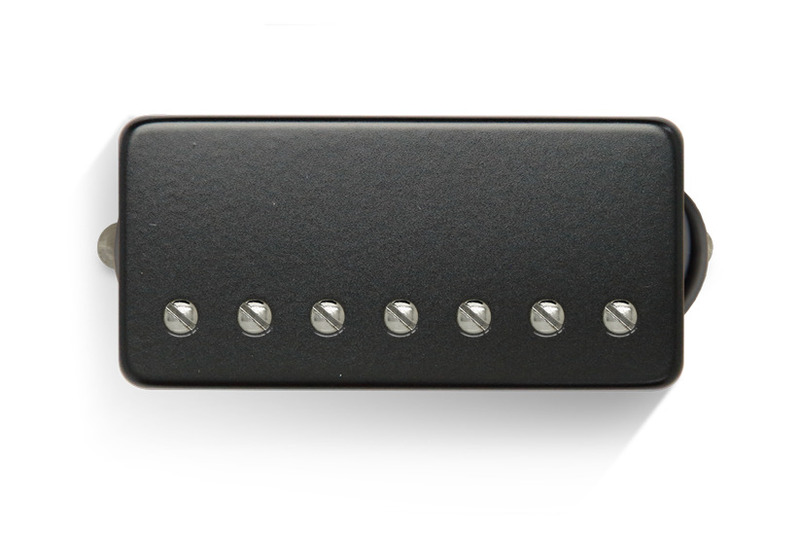 Other than Bare Knuckle, we also offer Lundgren, DiMarizo, Seymour Duncan, Fishman, and Schecter USA pickups as alternatives. - The photo is a digital rendering provided to us by Ibanez. The final product may look slightly different, however in our experience they always come out looking way better in real life than in the mockups. - As always with custom built guitars, delivery times can vary slightly. If opting for the $750 deposit, a remaining balance of $1550 will be needed prior to shipping. If you are pre-paying in full, as a thank you there is a $100 discount. Please note all deposits are final and non-refundable. pecado, setsuna7 and I play music like this. Those pickup covers look like something a 13 year old punk would want but aside from that it's a very pretty guitar I must say! Hey, I don’t see any drop down menu anywhere that lists pickup options (I’m on my phone so it may be the iPhone not playing nice), so I’m just curious if all of BKPs 7 string pickups are an option? I think this would look super rad with black chrome covers. If I can get rid of enough gear in time, I'm in. I don't care if the exchange rate is fucked at the moment, this is amazing. how do the colors get picked? is it voted upon by the community, or does the company just offer one and say take it or leave it? We've done it both ways before. Ibanez is pretty picky with what kind of colors they offer, so sometimes leaving it up to a vote is not helpful, as they won't be able to do half the ones people suggest. In this case, we offered members of our AP Club Facebook group the ability to vote on some features of the guitar (i.e. regular or reverse headstock, etc), but in this case I picked the color as I had a vision that it would be something different and cool. In the past we've let people vote on a colors and things. The best thing if you want to have a say in Ibanez run #7, or any of our cool runs we do with other brands (Schecter USA run launching next week for example), would be to follow our Facebook page or Instagram account. I'd be open to letting SSO members help decide things too, but threads in the dealer section tend to get overlooked here, so its easier to control everything on our own social media accounts. dhgrind and Mathemagician like this.